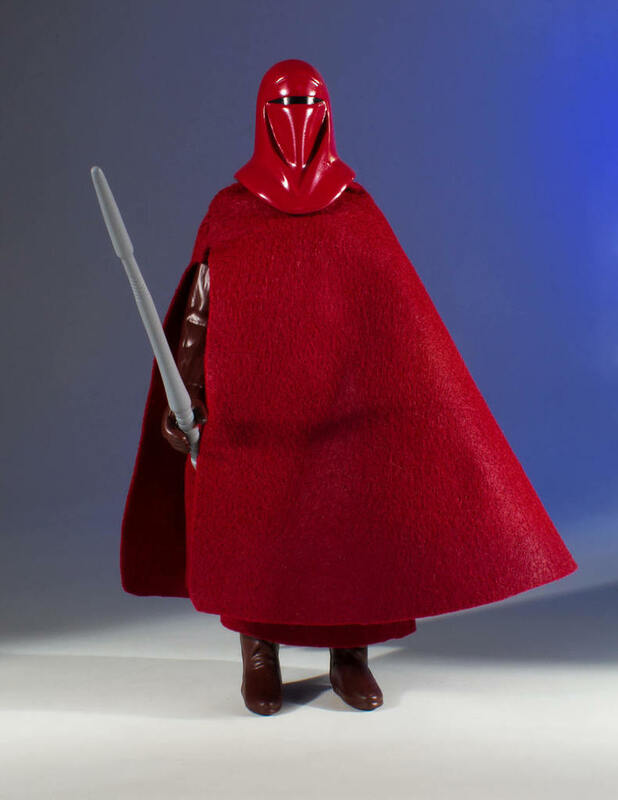 Gentle Giant has announced its next Jumbo Vintage Kenner Star Wars action figure, and it’s the Emperor’s Royal Guard from Episode VI: Return of the Jedi! These silent sentinels have fascinated Star Wars fans for over 3 decades and now you can protect your Emperor Palpatine figure in his throne room or in your collection. Digitally scanned from mint 3¾” vintage original Kenner action figures and reproduced to a whopping 12” tall, the Emperor’s Royal Guard Jumbo Vintage Kenner Star Wars action figure by Gentle Giant is an exact replica of the classic toy! Roto and injection molded and made of durable plastics, this fully articulated jumbo figure includes a faithfully reproduced force pike and a fabric softgoods cloak. The Star Wars Emperor’s Royal Guard Jumbo Vintage Kenner 12 inch action figure by Gentle Giant comes packaged on an 1983 Return of the Jedi inspired blister card (featuring original photos and artwork) with a plastic outer clam shell to help protect and display this awesome action figure. Collectors can pre-order one now through Entertainment Earth for $79.99 here.